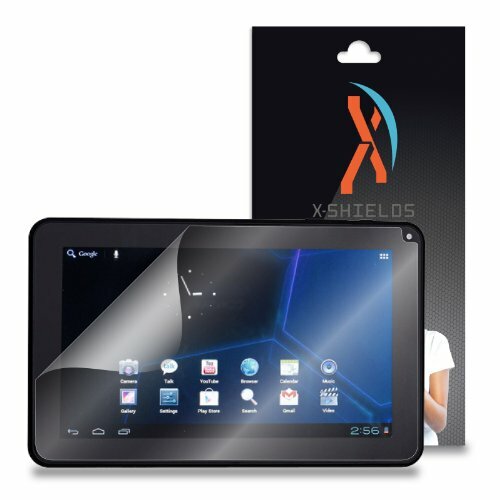 X-Shields Protectors offer the best scratch protection for your mobile devices. X-Shields revolutionary film leaves the sensitivity of your touch display unaltered and lets your HD display shine at its fullest potential. Unlike other sticky or rubbery films, this smooth, glassy film feels natural to the touch and couples perfectly with the use of a stylus. Step 2 Peel back the protective layer labeled "Adhesive Backing 1" about an inch or two. Step 5 Wrap the squeegee in the microfiber cloth and then press out any air bubbles. Step 6 Remove the protective film layer labeled "Protective Layer 2". Step 7 Buff the screen with the microfiber cloth and you're done. Enjoy! (*) Lifetime Warranty applies to the life of the device. If you have any questions about this product by XShields©, contact us by completing and submitting the form below. If you are looking for a specif part number, please include it with your message.